Maybe it was the buckle with the rescue whistle. Maybe it was the idea of having quick access to 50′ of rescue rope. But when we read the excellent Instructable posted by Stuwegie, a firefighter out of Edinburgh, we filed it away for a future RainyDayProject. 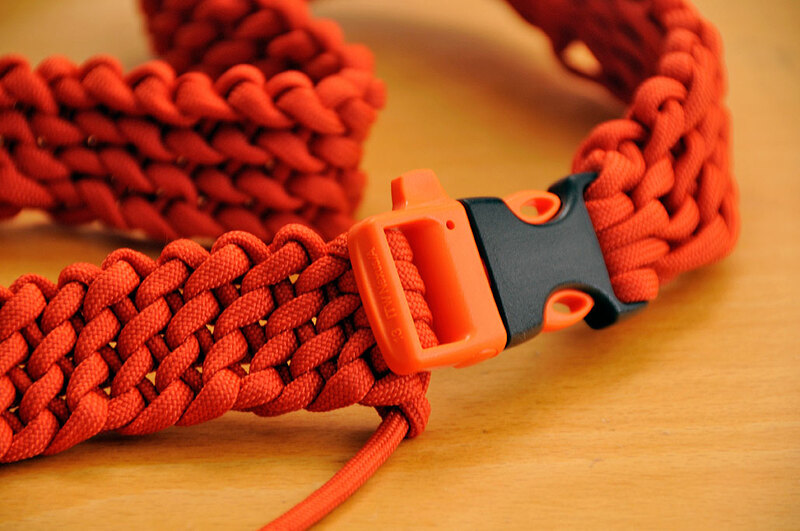 The Instructable was how to weave a belt out of 50′ of 550 Paracord. The Nor’easter which kept us inside this weekend gave us plenty of time to give the project a try. Paracord (also parachute cord or 550 cord) is a lightweight nylon kernmantle (German for coat protected core) rope originally used in the suspension lines of US parachutes during World War II. The inside of the rope is made of fibers that give it strength. The outside of the rope is coated with materials which makes it abrasion resistant. We got our 550 paracord from the Supply Captain. They have great prices, excellent service, and are the go-to place for stuff like this. Also, since we were making a RESCUE belt, we wanted to get our materials from a known supplier, not some no-name from EBay just to save a buck. The buckle with the built-in whistle is called the Whistleloc. We got ours from Seattle Fabrics. They specialize in outdoor/marine fabric, patterns, and hardware for outdoor activities. 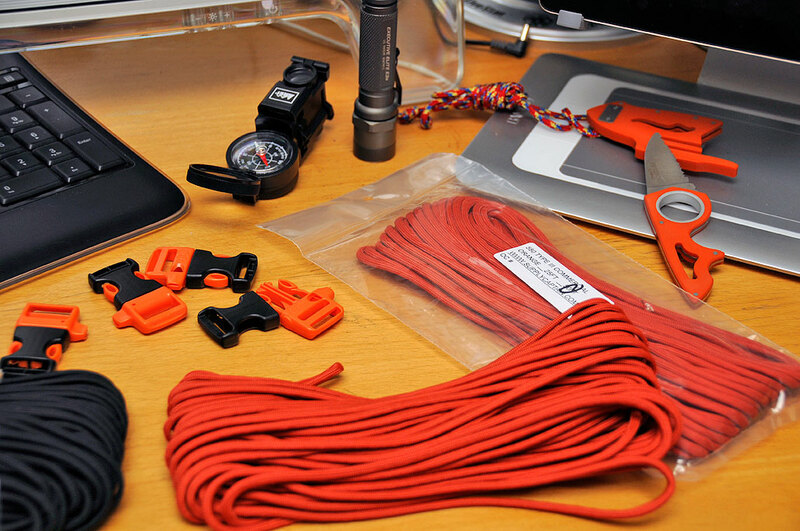 Their customers are those who like to make/fix their own outdoor gear…a true source for DIYers. The Instructable had very clear directions and we will not repeat them here. We had no problems getting started, but ran into a problem with the cord twisting into knots after a dozen rows. After pulling everything out and restarting a couple of times, we finally got the weaving technique down. What we learned was to make the loops big enough so that we could compensate for the natural twisting by counter-twisting the cord when taking out the slack. Doing that for every row kept everything nice and even. Also, there was no need to pull things really tight. Keeping it loose (not sloppy) gave the belt some give. With the Holidays coming, we will probably be glad we did 🙂 Finishing up the belt was a simple matter of weaving the loops onto the buckle. The Instructable suggested two options for dealing with the end: melt the loose end into place, or tying a knot. We went with the knot option. The Paracord rescue belt took a few hours to make. 50′ of the stuff will produce a 32″-33″ belt (depending on how tight the weave). Now that we have perfected our technique, our next one will be made using a 100′ of black Paracord. It will be a sling for our duffle bag. Just a flashlight or life-saver?